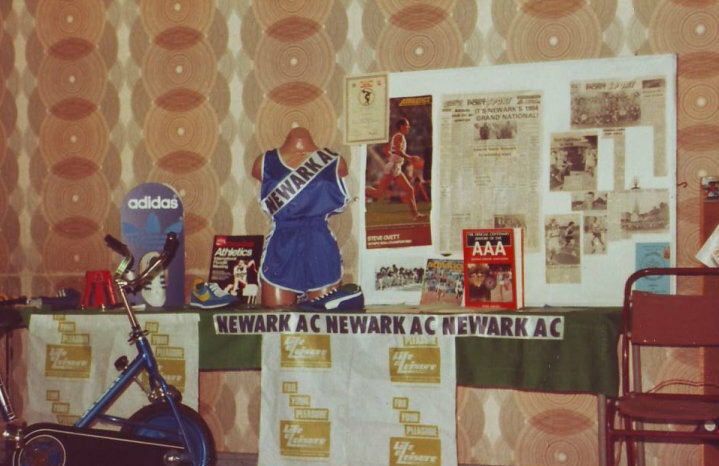 Newark Athletics Club was founded in 1946, through the enthusiasm of the local grammar school sports master Mr F.N.C. (Dickie) Dwyer who became the club’s first chairman. 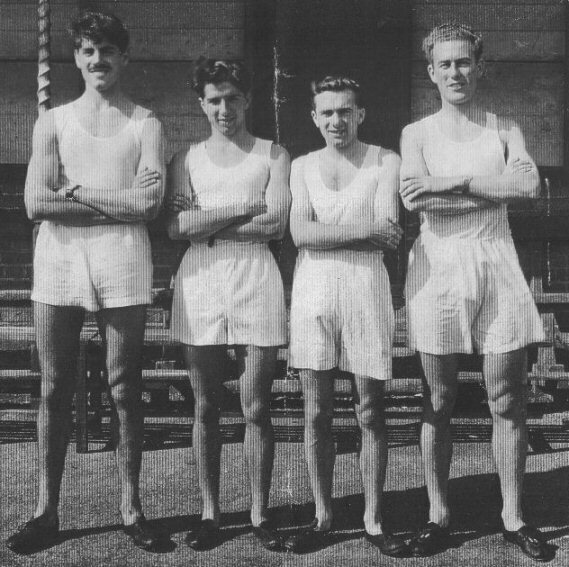 The initial active athletes were men and women (many of whom were returning to Newark after war service) and pupils from local schools along with local rugby club players wishing to keep active during the summer months. The early athletics meetings were held on the Newark Cricket Club ground and the club hosted the 1949 Nottinghamshire AAA championships, only three years after its formation. The club then briefly moved to the local James Hole Brewery sports ground before transferring, in the 1950’s, to what was the Grove sports ground. In the 60’s this became the Grove Sports Centre with a “new” 6 lane cinder track. In the late 1950s there was a gradual decline in the number of open and handicap meetings and the club helped to form the County Athletics League, which was one of the first in the Country. Unfortunately, around this time, the club also went into decline numbers wise and a mere handful of athletes kept the club alive for several years. The mid to late 1960s saw the arrival of several new members (including our present president) from outside the area and slowly things began to happen again. The beginnings of revival leading to the present strength of the club can be traced back to 1969 when it was decided that the club would compete in the North Midlands Cross Country League. This meant that the club, which until then had been active only in the summer months, became an “all year round” club and numbers began to increase. In 1976 the club joined the Notts City League and competed each year until the league folded circa 2000 due to lack of interest from clubs and officials. The Mid 1970s saw the arrival of Ken Rickhuss from Tipton and he was to bring about a marked change in the attitude and expectations of the club with regard to the promotion of events. During his time at Newark, Ken was also Chairman of the BAF, President of the English Cross County Association and of the AAA and Chairman of the UK Cross Country Commission, yet he still played an active part in the running of Newark AC. In 1977 the club ventured into the Midland Men’s League gaining promotion from division 7 in their first year, followed by a 100% record and championship pennant in division 6 in the following year. Seasons 1979-80-81 saw a consolidation in division 5, winning the division championship in 1982. The club remained in division 4 until 1985 when they were relegated, followed in quick succession by two further relegation’s. For the next few years, fortunes fluctuated between the lower divisions. Promotions were gained through some fine performances by young athletes who would then leave for university and relegation would follow only for the cycle to begin again. The ladies section joined the Midland Ladies League in 1982 and, with the exception of their first year gained promotion every year until 1987 being champions of their divisions in 1983, 84 and 85 and runners up in 1986, followed by relegation in 1987. From this point the ladies suffered the same fate as the men. In 1977 the club helped to form the County Mini League for track and field catering for boys and girls from 9 to 15 years of age and the club have competed to a high level. Since 1970 the club has competed at all levels from club-county-area-national and cross country, the latter being at times, from the men’s point of view, the club’s greatest strength. The ladies are also at present seeing an upturn in this sphere. Road races have been promoted since 1976 culminating in the inaugural half marathon in 1982. From its small beginnings as a round the town race, this has become one of the largest in the East Midlands and in 2006 celebrated it’s 25th anniversary. Over the years the club has had a number of county champions and members have also competed at area level and a handful has represented the various home countries. The senior men’s team gained selection to run in the National Six Stage Road Relay Championships held at Crystal Palace in 1980. Not to be outdone the veteran men won the bronze in the Midland Veteran Road Relay Championships, having previously won gold medals in the Eastern Vets Cross Country Championships. In 1981 the club purchased a set of sports hall equipment and, at the instigation of Ken Rickhuss and Trevor Frecknall, launched the Nottinghamshire Indoor Athletics League for under 15s and this has proved to be a tremendous success. The biggest leap forward was the club’s promotion of the National Cross Country Championships for the first time, in 1984.This event was so successful under Ken Rickhuss’ leadership that the club hosted a further four events, thus becoming the only club to independently promote the championships 5 times. The championship at Newark was the first to record over 2000 men finishing the senior race in 1988. The death of Ken Rickhuss, was a severe blow but the club are continuing with his policy of change and improvement. In Ken’s memory the club presented a trophy in his name to the Midlands Cross Country Association. After the 2004 track & field season the club committee carried out a review of the club’s involvement in leagues and the considerable amount of travelling to meetings with few athletes willing to travel the distances involved. As a result the club, in 2005, joined the Northern League, which offered mixed competition and much reduced travelling, owing to the regionalised league structure. This has proved very popular with our athletes and meetings are better supported. The first season in division 4 EC resulted in promotion followed by a successive promotion to Division 2EC in 2006. At the same time the club also joined the Lincolnshire League, to cut down on traveling expenses incurred in traveling to the YAL and National Junior League venues. This league has provided the “whole” club with competition throughout the age groups at the same meeting, truly competing as a club. This has resulted in a much improved club spirit with more athletes wanting to compete. Any success the club has enjoyed in recent years has been despite the atrocious facilities available, which force us to hold “home” meetings 20 miles away at Mansfield. Each year the club hold a week of long distance events in memory of Gordon Whelbourn, a former president of the club. This involves a different event on each of 5 successive nights. A challenge event is held each year, over 10 and 26 miles, in memory of Dave Lewis, a former dedicated member of the club. The proceeds from this event go to charities nominated each year by Dave’s wife, Janet. Although the club can boast no nationally known names to have competed for us, in 1980 Gordon Rimmer held the best time for a British athlete in the 3000m steeplechase that year, prior to the Olympic Games and just missed selection due to a fall before the trials. He did however run for Great Britain against Russia. Gordon and his brother Steven, also a Scottish International, ran for the club for several years before moving away from the area. In 1987, Craig Sillett represented Wales in a junior international event and in 1989 Vinny Bamber represented GB at cross country. 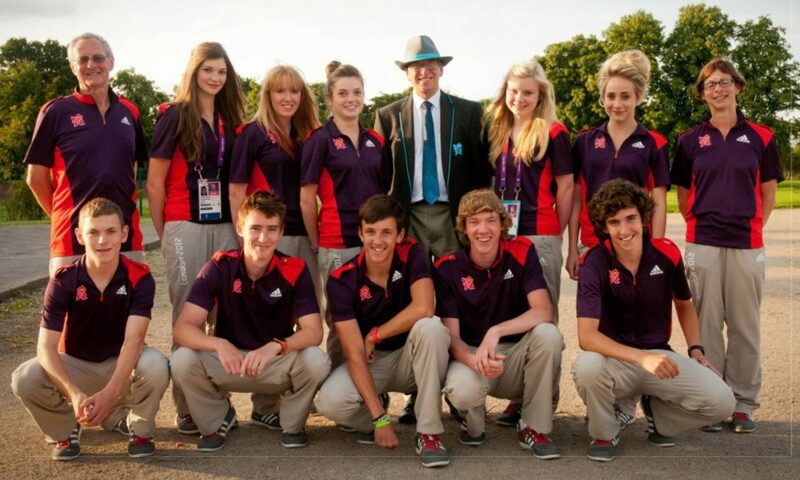 Ken Rickhuss himself was close to international level as a runner and managed the England Cross Country team. Several of our past runners have used their training with the club to help them progress in other sports. Long time member “Bert” Bradshaw has been an international orienteer. In 1993, Bert completed 100,000 miles of running during the Gordon Whelbourn week and Ron Hill, a past British International, came to run the last few miles with him to honour this achievement. Bert was also involved in planning courses for the National Cross Country Championships at Newark and was commended by several of the competitors on the standard of those courses. Bert has also acted as Clerk of the Course at the English Schools Cross Country Championships when these were held at Newark. In 1994 Rachel Horn, who ran for the club from an early age, won a bronze medal in the 25-29 age group of the World Triathlon Championships. Although no longer at the club Rachel has continued to enjoy success as a member of the Great Britain long course triathlon team. Most recently John Kelley who now competes for City of Sheffield AC elevated himself to the top of the UK 400m running scene when clocking 47.18 in gaining a silver medal at the 2007 BUSA Champs and narrowly missed out on a relay spot in the World Indoor Championships.